Vaccines have saved millions of lives. So why would there be any question? In the 1990s Dr. Andrew Wakefield from Britain noticed that some of his young patients were diagnosed with autism after receiving the measles, mumps, and rubella (MMR) vaccine. He wrote a paper in 1998 claiming to have done research on the cause and effect. It was a fraud. When no other researchers could reproduce his “findings,” an investigation revealed financial conflicts of interest. He had applied for a patent on an alternative vaccine the year before and partnered with attorneys in a plan to file claims against vaccine manufacturers. All these discoveries led The Lancet to retract his paper. Nevertheless, he continued to promote his theory outside the medical community, performed invasive experimental procedures on his young patients, and eventually lost his license. Yet he had garnered enough interest in his theory that he was hired to speak on the subject at gatherings across the globe, a fortunate turn of events now that he could no longer make a living as a doctor. The doctor who started the whole vaccine scare has been proven wrong and lost his license. The press covered the story heavily. As a result, many people distrust vaccines, and previously controlled diseases are on the rise. The link between MMR and autism has been studied exhaustively, yet no reputable study has confirmed Wakefield’s findings. The attention drawn to Wakefield’s case caused activists to dig deeper and question the contents of vaccines. Thimerosal is a mercury-containing substance that particularly concerned them. But the mercury in thimerosal is in the form of a compound that is easily metabolized and excreted by the body and poses no health risk. Nevertheless, manufacturers, aware of the scare, had removed thimerosal from most vaccines by 2001. Yet autism rates continued to rise. Next, activists turned their attention to aluminum used in some vaccines. Aluminum is the third most abundant element after oxygen and silicon, and it is the most abundant metal. No studies have found a causal link between it and autism. In fact, there’s more aluminum in a portion of breast milk or infant formula than an infant receives from a complete set of vaccines during their entire first year. To find out more, I did a Google search for the phrase, “Do vaccines cause autism?” Page after page confirms no causal link. From the CDC, to the NIH, JAMA, the Mayo Clinic, and even the Autism Science Foundation. But you can also find many web pages that say Big Pharma is covering up the facts. Certainly drug manufacturers have been guilty of scandals in the past. But with all the thousands of people involved with vaccines, if there were a conspiracy, the odds are astronomical that no credible whistleblower would emerge from among them. So why is autism on the rise? It’s not. What is on the rise is the diagnosis, which has expanded from a small number of severe cases described in the 1940s until it’s now ballooned to include things as mild as daydreaming. Part of the expanding definition is certainly based on medical understanding, but we can’t rule out how the diagnosis benefits other people. When the Department of Education decided that children diagnosed with autism qualified for special educational services in 1991, it gave parents an alternative to calling their children intellectually disabled and got them extra attention in smaller classroom settings. And then there are the professionals who get paid to diagnose and treat these young people. So if vaccines don’t cause autism, are there other risks? Every year when I get my flu shot, the doctor’s office gives me a printout. It warns that anyone allergic to eggs or those who have had previous severe allergic reactions should not get the shot. About 65% of people experience mild side effects like redness and a sore arm. And approximately 1% develop a low-grade fever, but all those side effects pale in comparison to the misery of the flu. About one in a million develop a serious, life-threatening allergic reaction. Compare that to 646,000 deaths and nearly 8 million hospitalizations annually worldwide for those who either don’t have access to the vaccine or choose not to take it. 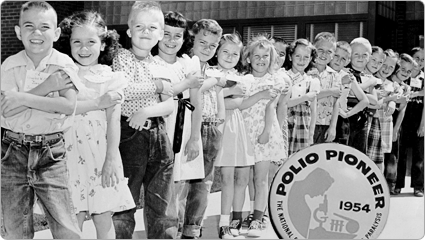 Some people have advocated for vaccinating children at a later age. However, the recommended age for the various shots is based on a long history of testing. If a child has had some difficulties with early vaccinations, parents might decide to take the risk and have them treated later. The history of science is full of people who were considered crazy, then proven right. But that doesn’t mean everyone with a theory is right. That’s what the scientific method is for. Big Pharma is certainly not free from sin. But the studies now show they’re not guilty in this case. In the end, there comes a point where there is so much evidence that you have to say “enough” and move on to other battles. Ironically, people who are not vaccinated are protected from disease to some extent because of an effect known as herd immunity. When a community is mostly immunized (the critical number seems to be 95%) a disease has difficulty spreading, which has led some people to believe vaccines are unnecessary. However, when Mr. Wakefield spoke to a community of immigrants in Minnesota in 2016 where he again promoted his disproven theory, the measles vaccination rate for children dropped to just 42 percent. As a result, measles—once eradicated in the U.S.—is now exploding in that area. Without the vaccine there’s a 90% chance of contracting the disease. Those who catch it can develop permanent brain damage, blindness, or deafness and in some cases panencephalitis, which is usually fatal. Similarly, in 2011 the percent of immunization for measles in France dropped to 89% causing an outbreak of almost 15,000 cases. At least 6 people died. When immunization falls below 95%, diseases reappear with sometimes deadly results. When looking at the whole issue of vaccines, autism, and other theories of vaccine-causing damage, we come back to a favorite adage of detective stories and political investigations: cui bono—who benefits? It seems that everyone involved—from Wakefield to psychologists and even the education system—are all in line to cash in on the expanding diagnosis. 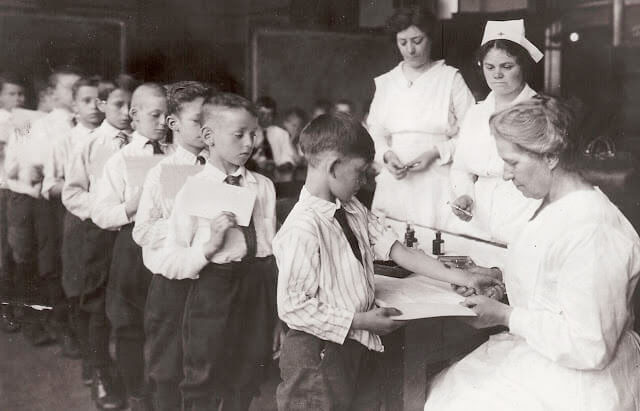 But if they win and we were to do away with vaccines, we would revert to “the good old days” of diphtheria, polio, meningitis, tuberculosis, hepatitis A and B, flu, mumps, whooping cough, pneumonia, rotavirus, rubella, small pox, tetanus, and chicken pox. It’s hard to connect emotionally with diseases most of us have never seen in our lifetimes. But physicians and medical technicians who lived in those long-ago days witnessed firsthand the debilitation, desperation, and death and dedicated their lives to developing these miracle medicines we now take for granted. People who choose not to vaccinate threaten to bring back those times. Even if vaccinations did cause autism—which they don’t—when we balance the lives saved against the theory of one quack poised to make a killing from patents and legal fees, the scales would land heavily on the side of vaccines. Some people are not good candidates for vaccinations because of various physical issues. So when people get vaccinated they are not just protecting themselves, they are protecting the most vulnerable among us: the sick, the immunocompromised, the very young, and the very old. When seen that way, getting vaccinated is a duty, part of our social contract. For those who are still not convinced, I wonder how they would feel if they discovered that their continued dedication to a belief—now proven false—caused one, or ten, or a hundred people to die.